Enterprise Manager 10g Grid Control (10.2.0.1) and higher version currently provide monitoring for Forms-based applications. 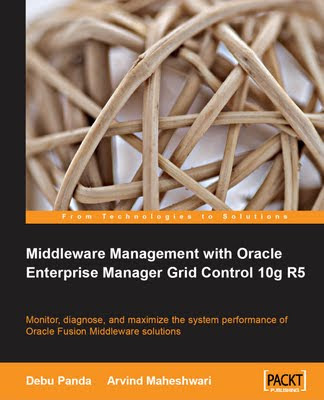 I mention a book titled "Middleware Management with Oracle Enterprise Manager Grid Control 10g R5" written by Debu Panda(blog), Arvind Maheshwari ,they wrote an excellent Middleware Management with Oracle Enterprise Manager Grid Control 10g R5 Guide. This book is helpful to manage middleware and application configures on Enterprise Manager Grid.